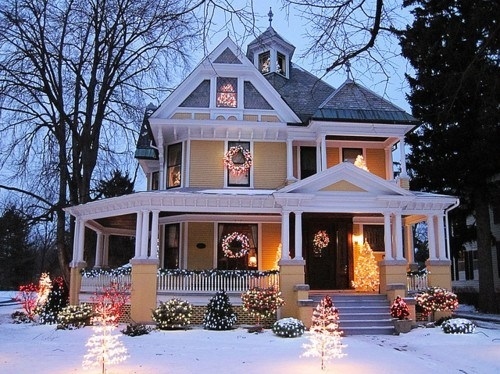 Should you wait until after the Holidays to list your home? – This Is Where Awesomeness Happens! At this time of year, many homeowners think they should wait until after the holidays to put their home on the market. Also, some homeowners who have had their home on the market decide to take it off the market until after the holidays. Buyers who are looking during the holidays for a home are serious buyers, and are ready to buy. You are in control of the showings on your home. You can decide when your home can be shown or not. Homes often show better when decorated for the holidays. There is less competition from other sellers at this time of year, as many do decide to hold off selling until after the holidays. Buyers who are being relocated by their employer are always out there. They will be looking to get into a home quickly to get their families settled. The supply of listings generally increases after the holidays. These six items all suggest that there is a benefit to the seller who decides to move forward with selling their home during the holidays. As always, you need to consider your particular circumstances and needs. One of our professionals at Coldwell Banker Pinnacle Real Estate will be happy to help you determine what course of action would be best for you. Why not call one today? Next Next post: Time to Renovate? or Time to Sell?